Improve the lives of children and youth with disabilities at the top special education graduate program in the nation, as ranked by U.S. News & World Report. The Department of Special Education at Vanderbilt conducts groundbreaking research, establishes innovative practices, and develops widely used methods. Through this program you’ll conduct fieldwork and research projects, collaborate with faculty and other students on important initiatives, participate in colloquia with experts from various disciplines, and supervise undergraduates’ field experiences. Because there is a shortage of qualified special education professionals, it is possible that your education could be fully funded through U.S. Department of Education grants. The Special Education graduate program is closely associated with the Vanderbilt Kennedy Center for Research on Human Development, one of 14 national centers for research on intellectual and developmental disabilities. This relationship allows you to benefit from the center's many available resources and programs. Completing of the master’s degree in Special Education can lead to a recommendation to the state for a teaching license in your selected area of concentration. The Office of Teacher Licensure coordinates teacher licensure policies and procedures for the special education program so you’ll be prepared to meet Tennessee and other accreditation standards for teacher licensing. Peabody College graduates licensed in Tennessee also can be licensed in other states. Completing licensure requirements may require work beyond the normal degree requirements. You may also be interested in the Master of Education of the Deaf (M.D.E.) degree at Vanderbilt University, offered through the Department of Hearing and Speech Sciences. The 1-to 2-year program emphasizes the training needed to develop spoken language and auditory skills in deaf and hard-of-hearing children. Program Director: Alexandra Da Fonte, Ph.D. 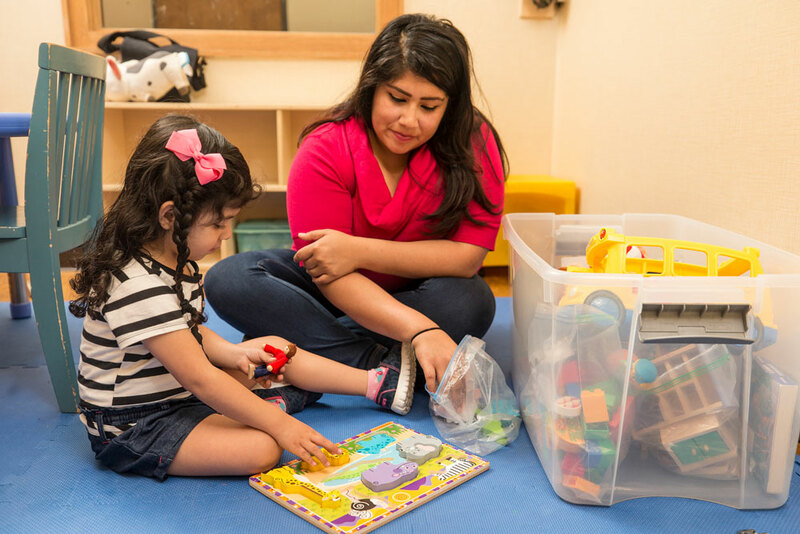 Early Childhood —for students who want to serve infants, toddlers, young children, and their families who deal with a wide range of developmental delays including cognitive, communication, social, adaptive behavior, and motor skills. High Incidence —for those intending to become intervention specialists for children and young adults with reading and math disabilities and persistent behavior problems. Track in Severe Disabilities —for those who wish to focus on working with students with intellectual disability, autism, multiple disabilities and other significant needs. Track in Visual Disabilities —for future teachers who want to provide access to the general curriculum and to teach the expanded core curriculum for students with visual impairments, including those with multiple disabilities. The Applied Behavior Analysis Specialization Program is offered in conjunction with a primary specialization in early childhood special education, high incidence disabilities (intervention specialist), or severe disabilities. The add-on specialization teaches you to conduct functional behavioral assessments, write behavior intervention programs, and carry out those intervention programs for a range of individuals with behavior problems. For more information please contact Dr. Joseph Lambert. I know with confidence that my impact in the field reflects Peabody's No. 1 ranking. Behavioral Therapist, Nashville Autism Services, Nashville, Tenn.
Life Skills Teacher, Harpeth Middle School, Kingston Springs, Tenn.
Lead Therapist, ABA of Wisconsin, Madison, Wisc. Special Education Teacher, Duncan Chapel, Greenville, S.C.
Special Education Teacher, Metro Nashville Public Schools, Nashville, Tenn.
Field experiences are a key component of your individual program of studies in Special Education. You will be able to work with children and adults with intellectual disability, autism, language impairments, behavioral disorders, learning disabilities, visual impairments, orthopedic disabilities, or multiple disabilities. The Special Education degree program stresses field-based learning and experience, with the opportunity to participate in supervised research. Programs of study are planned in consultation with the faculty advisor. To satisfy your degree requirements, you will take a comprehensive sit-down exam that evaluates your competence in the field of special education and complete a master’s specialty area project or thesis. You must have teacher licensure to pursue this program area. At Peabody, exciting next-generation research is always underway. Department faculty often collaborate with students on important initiatives and publish their findings. Peabody faculty, alumni, and students are responsible for one in five publications comprising the entire literature in the fields of intellectual disability and psychology.